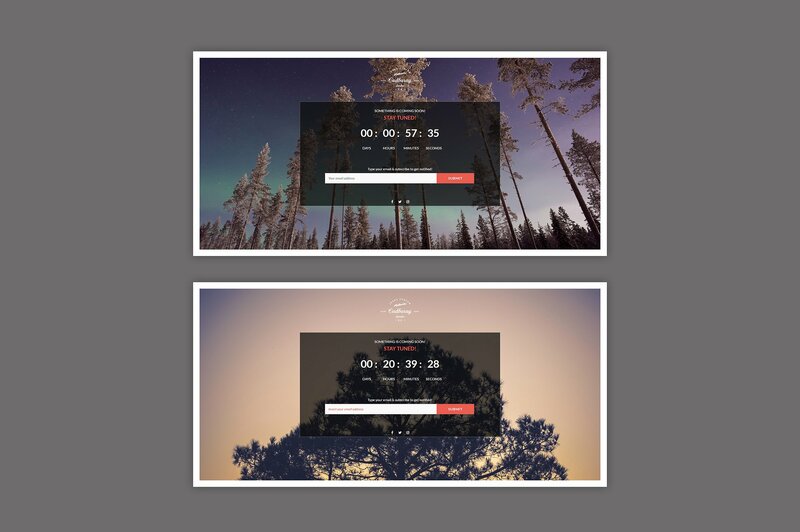 Frame is Premium theme for CMP plugin. 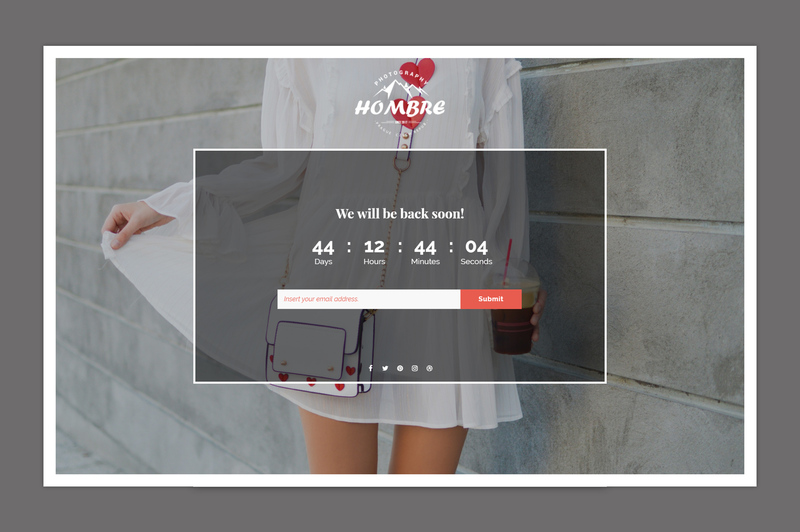 Frame can be configured with outside and inside frame on your landing page where you can set beautiful digital counter with three predefined actions when timer hits zero: do-nothing, redirect to custom URL or disable CMP plugin and display your normal page to visitors. 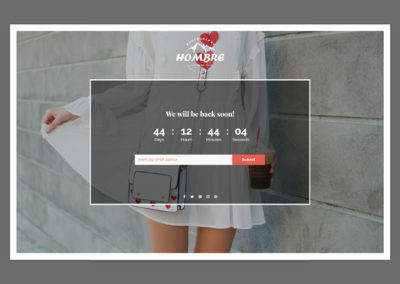 Frame is usually used as Coming soon page but can serve as Maintenance landing page too. You can set custom image background, use any from predefined patterns or just plain color to keep things simple. 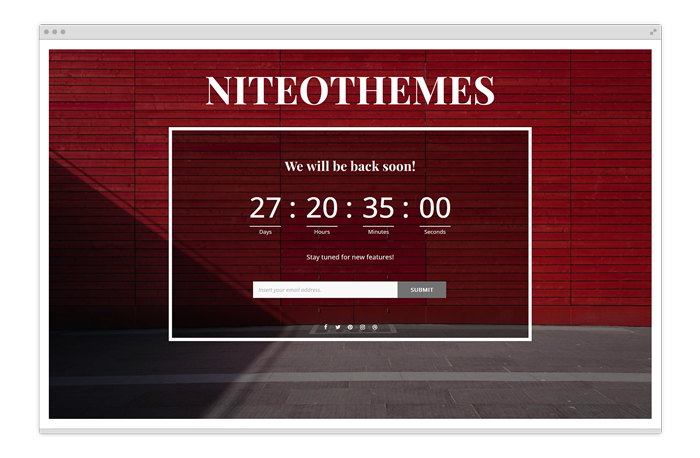 or all CMP themes for $29?